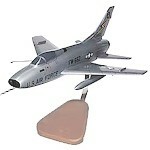 Yes, this is a dedicated group for modelers of jet and modern-era aircraft! Here you go Allan, more photos. Very interesting John, looks good, more pic’s !! Thanks Craig, I’m enthusiastic if nothing else! Great job…..you do good work. Very nice, and diferant! Well done Ray. Thanks for the heads up, all done! Nice one Shawn! Nice to see one in a diferant scheme. Great looking build John, and welcome aboard. Just FYI, posting any subject to the main area is standard protocol (that way we don’t accidentally miss it!). Thanks Stephen, I know, it just goes to show what a good airplane it is, the 3 that NASA are flying look like they will be around for some time yet!